Lesser Albatross was a butterfly plentiful all over the island in all the year round (Ormiston W. 1924). Even during 1990s D’ Abrera mentioned it as “One of the very commonest butterflies on the island.... And one of the principal species that comprise the huge migrations of pieridae that sometimes fly across the country for days at a time” (D'abrera 1998). 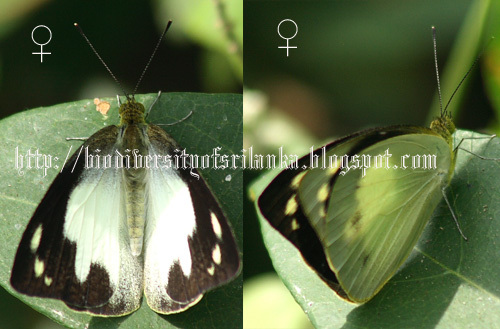 However today the situation is not so and it is one of the rare butterflies of the island found in intermediate to dry zones and in other elevations during the migratory season (Gamage R. 2007). Its early stages and larval food plants are unknown.